Wedding sparklers are used at almost every wedding these days, and finding them at local bridal shops has never been easier. However, as they have become more commercially available, the standard of quality that was once held so dear has quickly started to diminish. All too often, I hear terrible horror stories of wedding sparklers that fall apart as they burn or won’t even light when the time finally arrives. So I’ve put together a quick list of 3 tips to help you with your sparkler shopping so you can get the right brand and size for a beautiful wedding experience. One of the easiest mistakes to make when shopping for your wedding sparklers is to buy color sparklers. There is so much marketing out there now that companies will have you believe that blue or red sparklers will look better at your wedding, but the truth is that they will only create a bunch of smoke and ruin your photos. Since the compounds used to make silver sparklers are now illegal to buy in the US, the only types of sparklers that will be smokeless are gold ones. Therefore, you should always buy gold wedding sparklers for your event unless you don’t care about your guests choking on smoke and having really blurry photos. Quality is much more important than price, but unfortunately too few couples see things this way. There are a lot of companies out there that sell generic sparklers packaged in fancy boxes that are old, moldy, or just flat out poor quality. This can lead to sparklers falling apart as they burn which will make your event a disaster and, in the worst case scenario, could even cause an injury. There are only a few companies that offer actual sparklers for weddings that will burn correctly and perform as advertised. Make sure you research the company and brand thoroughly before you make a purchase to ensure that you’re getting exactly what you expect. Lastly, wedding sparklers come in a variety of lengths; and for good reason. There is no point in buying sparklers that are too long for what you need, but you also don’t want them to burn up too quickly. Pay close attention to the duration that the sparklers you want to buy are rated for. Be realistic with your duration needs, and always buy sparklers that will last longer than you need them for. You can always put out a sparkler that is lasting too long, but trying to light another set of sparklers in the middle of your grand exit is a hassle that you simply don’t need. 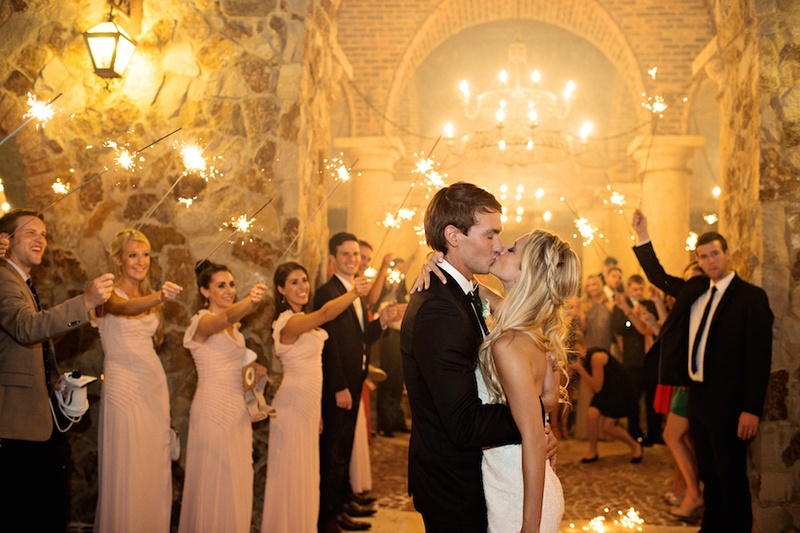 Shopping for wedding sparklers can be a simple process if you know what to look for. Ignore the hype and the marketing materials that will bombard you at every corner and stick to these 3 basic tips. If you research the brand thoroughly, choose the right length, and make sure to buy gold colored sparklers, you can ensure a sparkling success for you and your guests on your wedding day. Next Quick Review of the Night King Pro Ano Bike Lights!